An RTGS transaction will be credited to your beneficiary's account on the same day, provided your transaction is posted before the bank specified business hours. Please note that the minimum amount for an RTGS transaction is Rs. 2,00,000/-. NEFT transactions will be processed maximum within the next working day depending on the settlement time. There is no minimum transaction amount for NEFT transactions. 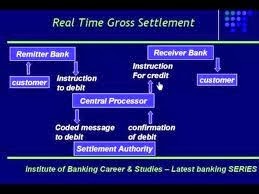 State Bank Group transactions will be processed immediately under settlement time. There is no minimum transaction amount for State Bank Group transactions. Please note that RTGS/NEFT/State Bank Group transactions will be processed as per the following schedule only. Transactions will not be processed on Sundays or public holidays. RTGS 9: 00 A.M. to 4: 00 P.M. 9: 00 A.M.to 1: 00 P.M.
NEFT 7: 00 A.M. to 6: 30 P.M. 7: 00 A.M.to 12: 30 P.M.
State Bank Group 7: 00 A.M. to 5: 00 P.M. 7: 00 A.M.to 1: 00 P.M.
All beneficiaries accounts added under RTGS/NEFT service maintained at any State Bank Group Bank(State Bank of India, State Bank of Bikaner & Jaipur, State Bank of Hyderabad, State Bank of Patiala, State Bank of Travancore & State Bank of Mysore) by default will be available under State Bank Group Transfer in Payments/Transfers --- > Manage Interbank Transfer link. Also, if the transaction scheduled date is of a State Bank Group Transfer holiday, the same will be scheduled for next transaction date. You can check difference between NEFT and RTGS here.